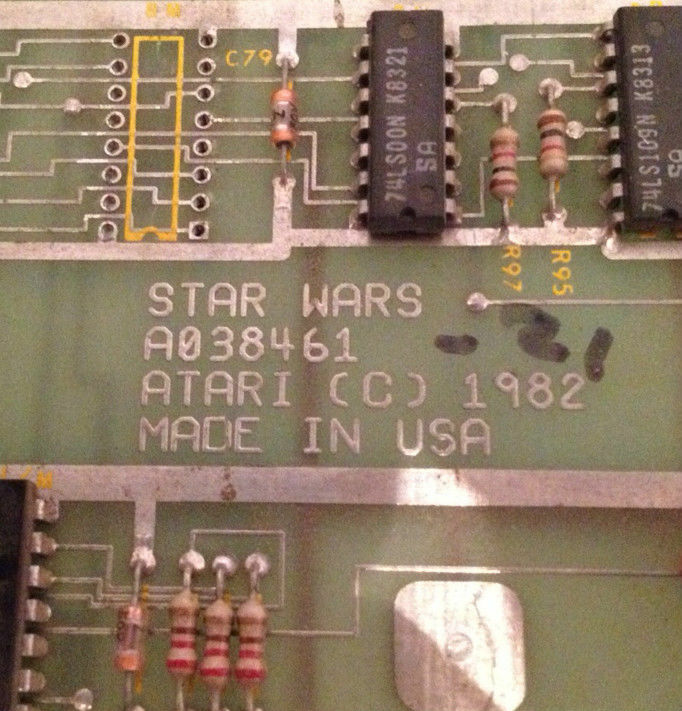 So I’ve (foolishly) embarked on building a working Atari Star Wars test rig, as it’s pretty much the only other game I remember from the arcades that I would want to own if I had the space for it! 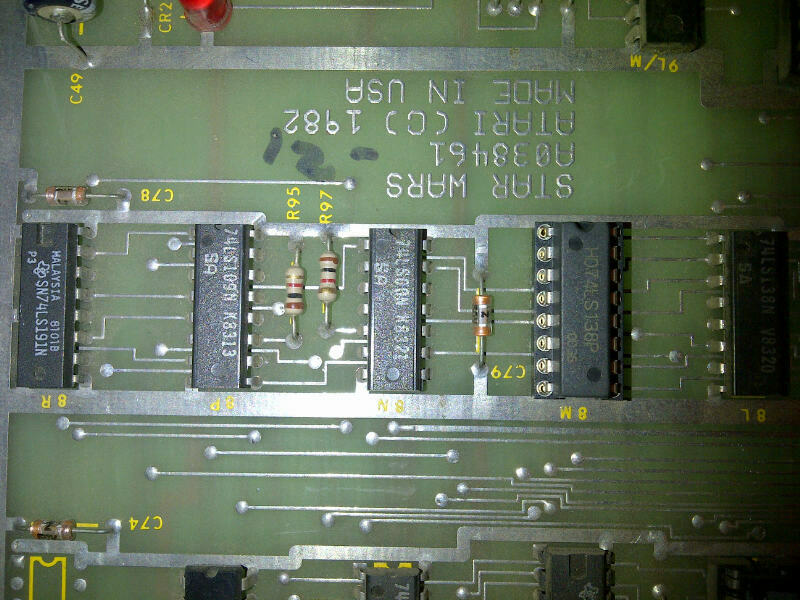 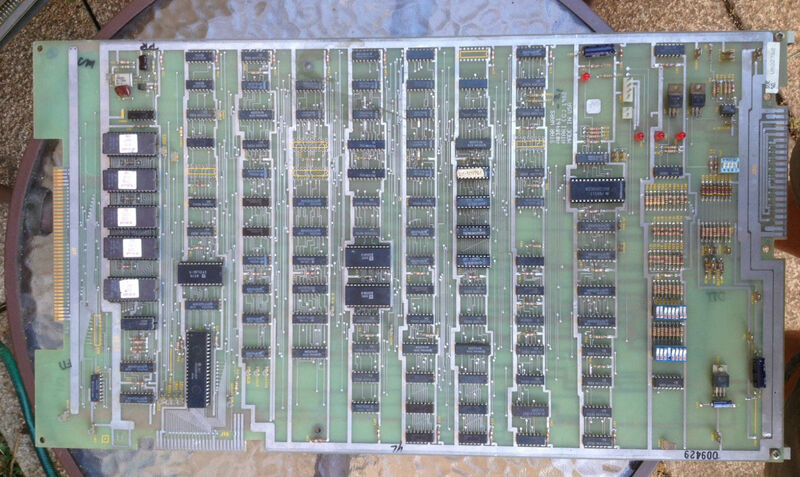 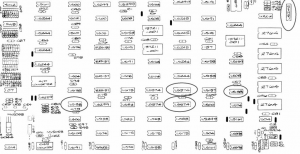 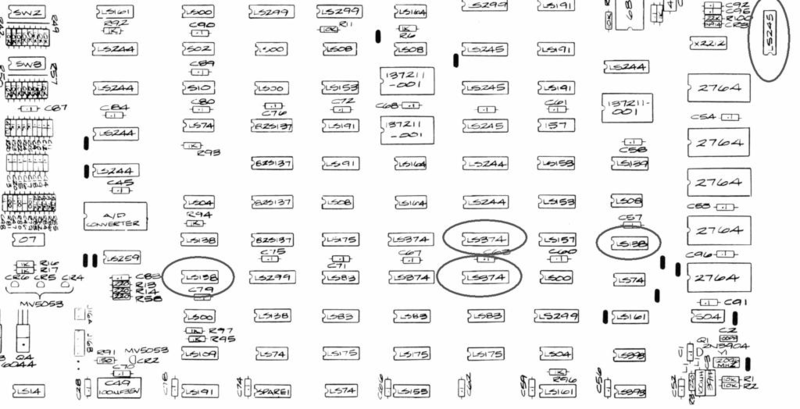 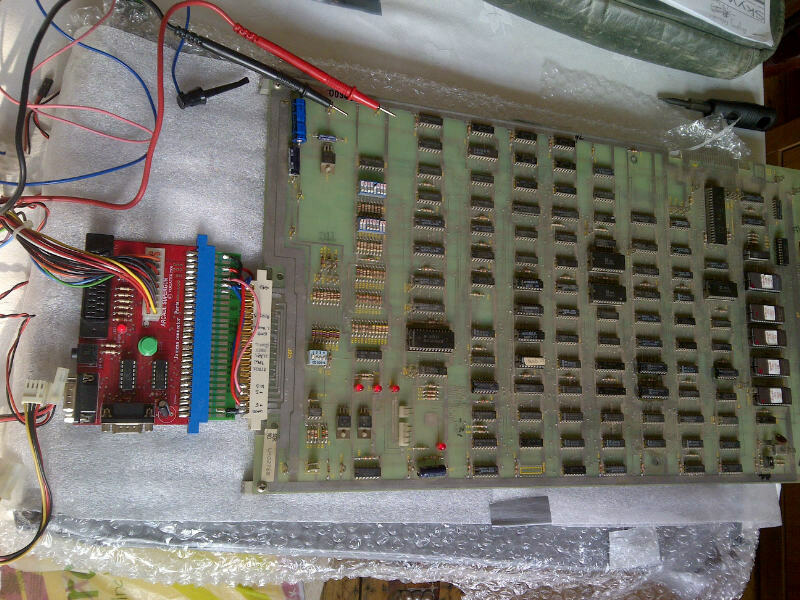 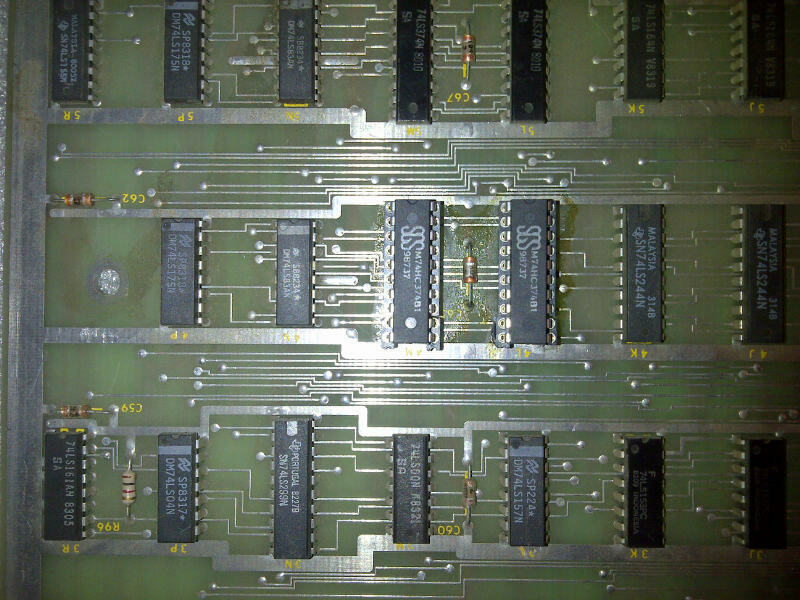 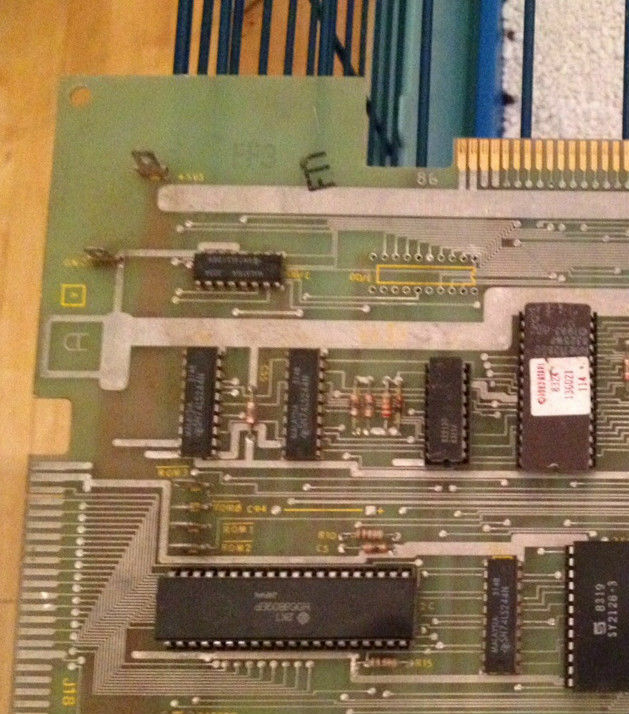 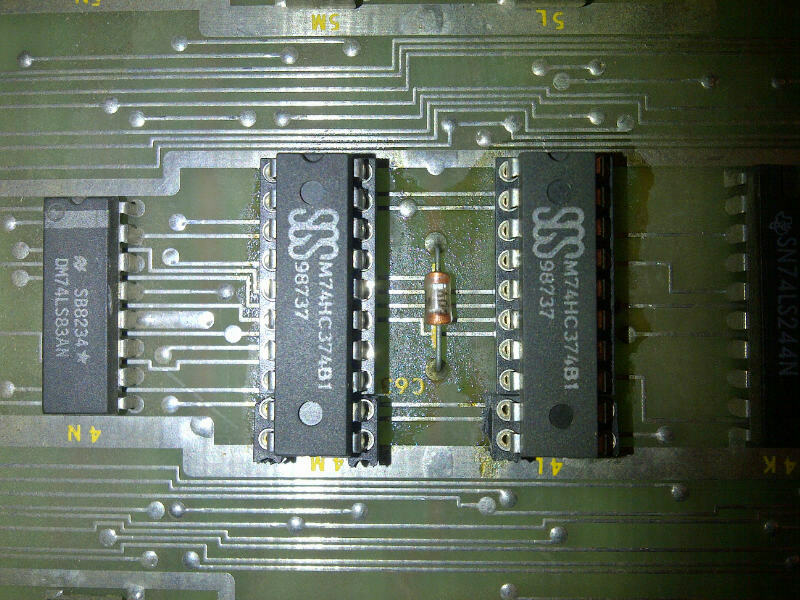 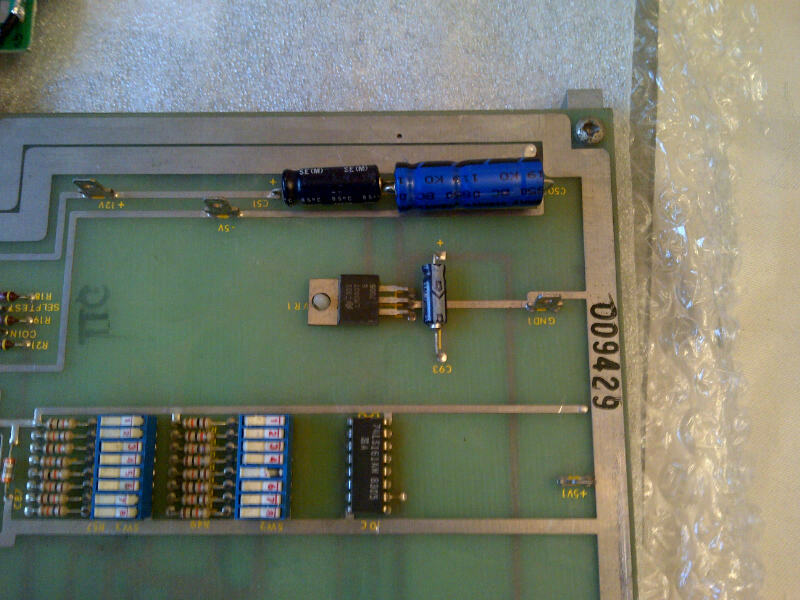 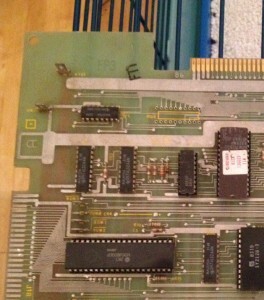 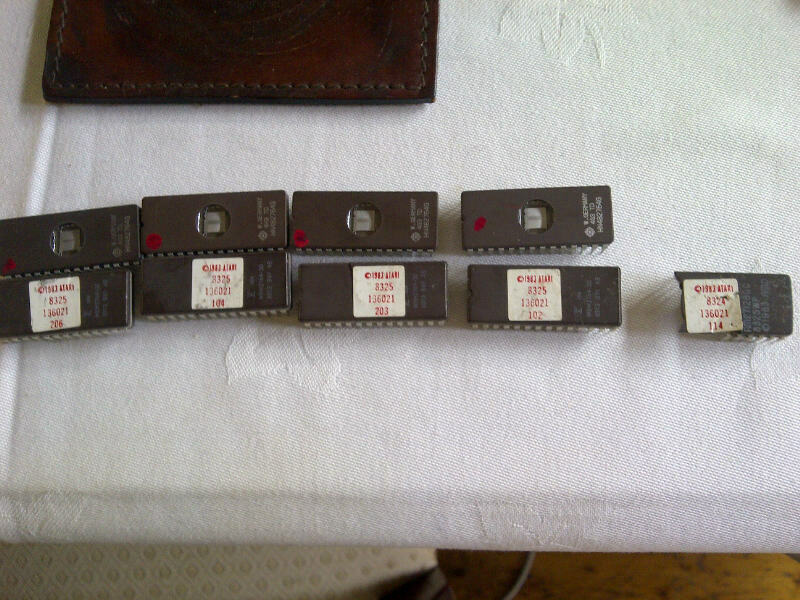 But before we power it up lets do some basic sanity checks, and also look into that bust EPROM. 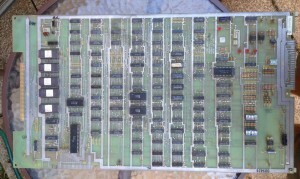 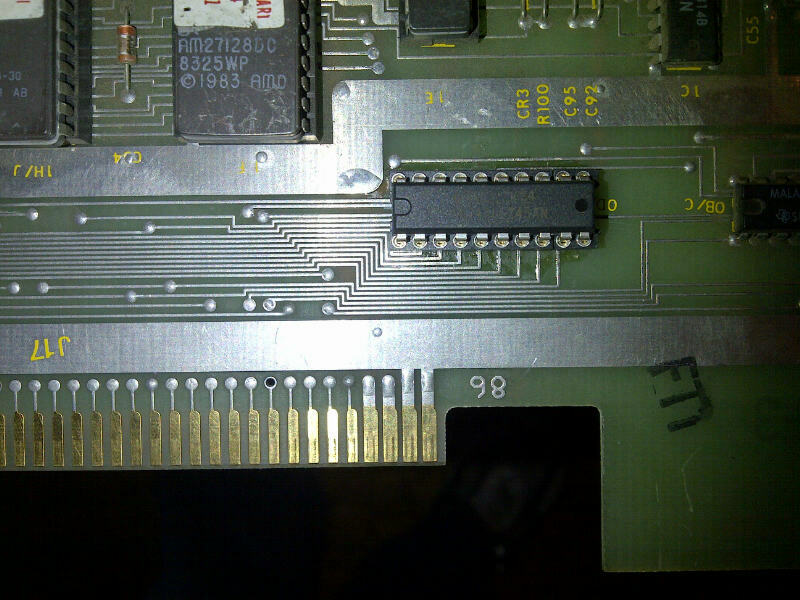 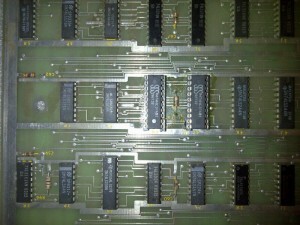 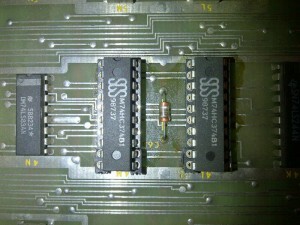 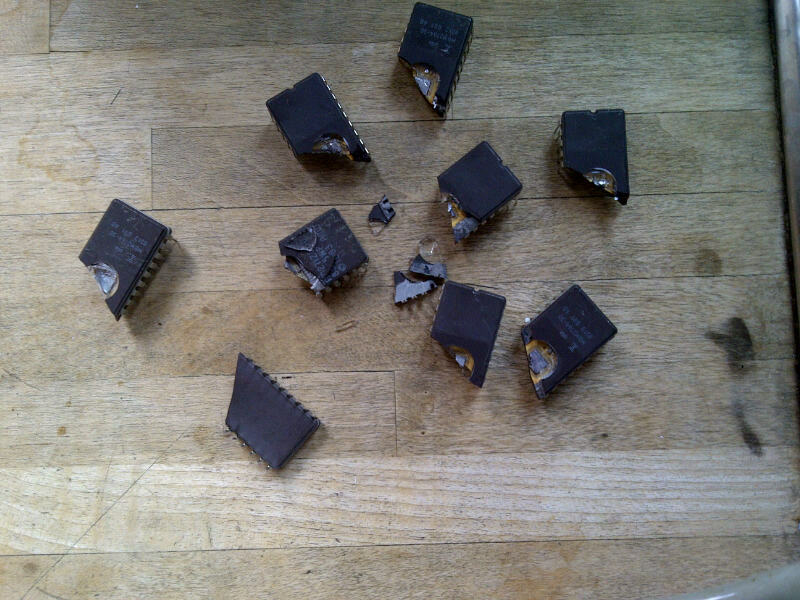 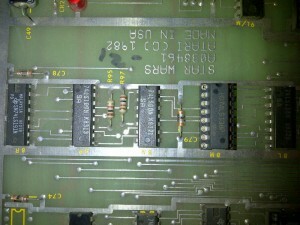 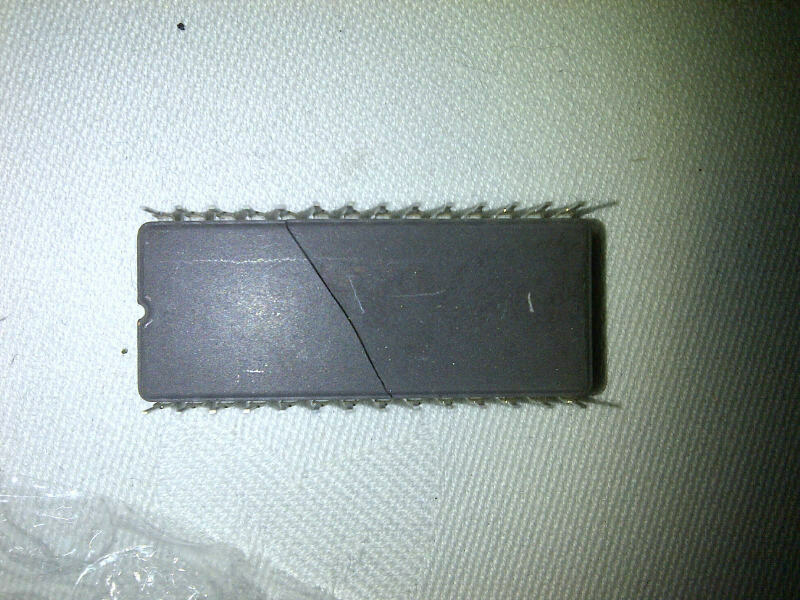 Removing the EPROMs very gently using a flat headed screwdriver – all of them are cracked or crack as they are removed. 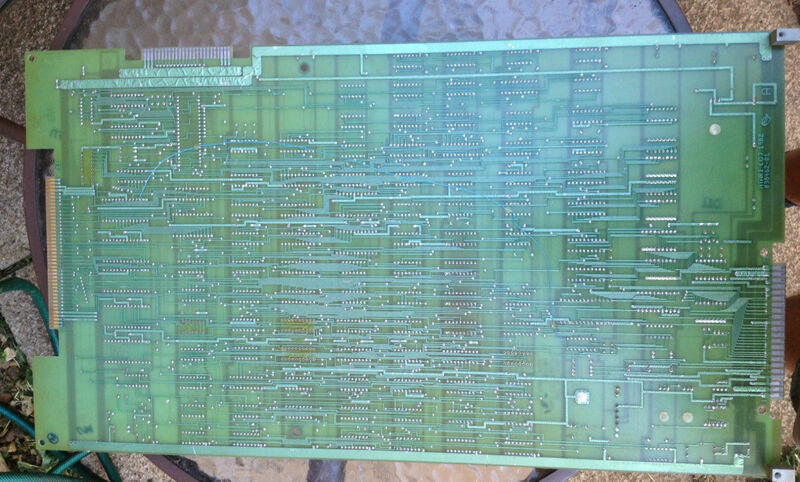 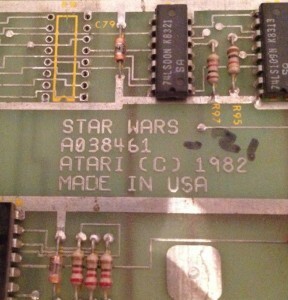 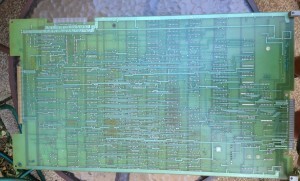 I’ve never seen this with any other board I have done this with so this poor old Star Wars PCB has obviously been in the Wars itself!